If you stop to look at the major reasons why most homeowners choose insulated vinyl, you’ll start to see a few clear patterns emerge. It can make your home more energy-efficient and save you a ton of money in the future. 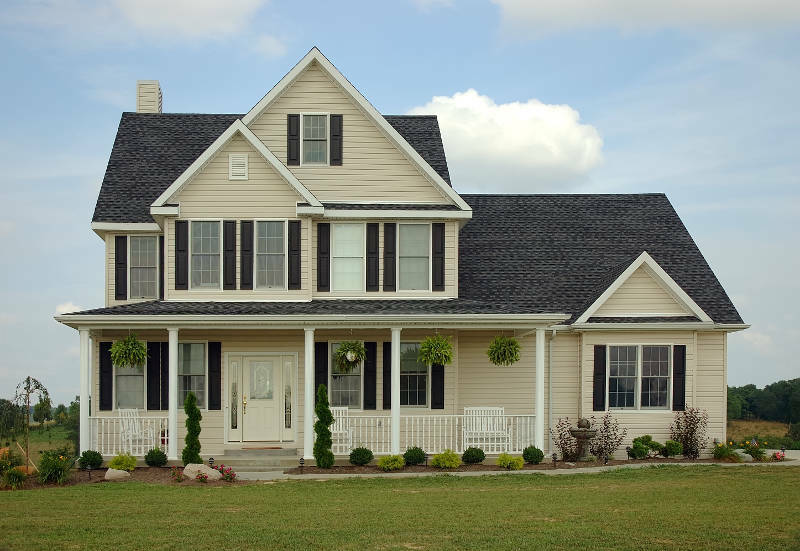 Take a look at these 10 specific reasons why you should choose insulated vinyl siding for your home update. Some siding types are relatively susceptible to damage during extreme winds or rains. Even fluctuating temperatures can have a significant long-term effect on the overall durability of your siding. Insulated vinyl siding is one way to avoid some of these common issues. They fit tightly together with no seasonal expansion or contraction, ensuring a well-insulated home in each season throughout the year. It’s even more impact resistant, making it ideal for areas that have a lot of hail during the winter. Are you interested in saving more money on your heating and cooling bill each month? Insulated vinyl siding is an easy way to make this happen. Your home will be less susceptible to changes in temperature or humidity resulting from the outside weather. Furthermore, the house will be better sealed up to prevent the escape of any air from your HVAC system. You could easily find insulated vinyl siding with an r-value of up to five. This can help to offset your initial investment over time. Some manufacturers make the insulated vinyl siding in large sections that allow contractors to install it more efficiently. Not only will your project be done faster, but you could be paying less money for it. 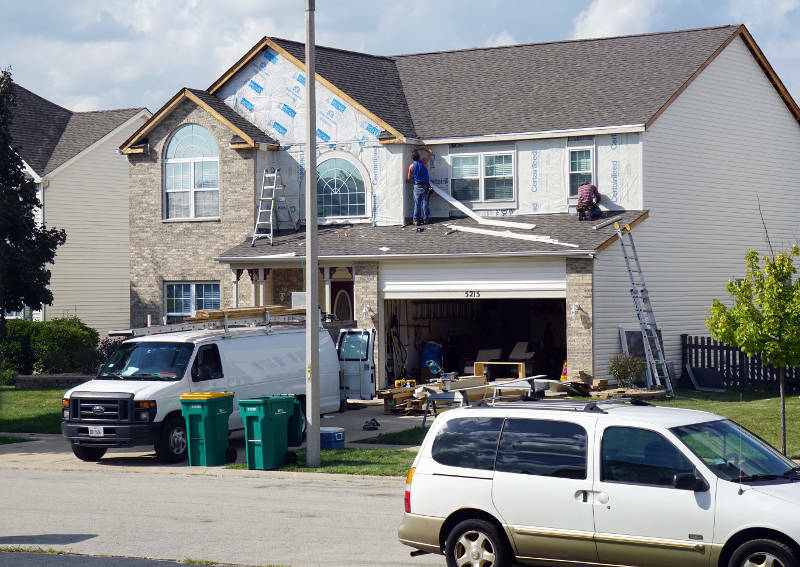 Be sure to get a quote from your contractor for insulated vinyl siding and ask about the substantial savings in the installation that could allow you to afford these higher-quality materials instead. The sounds from your neighborhood or backyard will come through less clearly when you have insulated vinyl siding. Your home can feel quieter and more peaceful when it muffles the sounds of nature or bickering neighbors. It could even help to block the sound of loud appliances that are situated right outside your bedroom window. You might be able to sleep much easier with insulated vinyl siding in your home. One of the best aspects of insulated vinyl siding is the extremely low maintenance it requires.There’s very little upkeep throughout the year. Manufacturers often offer warranties that guarantee color steadfastness and a consistent appearance throughout the years ahead. While it’s always a good idea to clean your siding annually, very little else is truly required. Every now and again, something happens that requires a minor repair to your siding. This siding is fairly easy to alter and fix, resulting in lower repair costs. In fact, you may not even need to hire a contractor at all. A handy homeowner could be capable of performing the repair on their own. Since it comes in large sections, it’s easy to take down the damaged section and put up a new one without professional help. You won’t have to sacrifice curb appeal in favor of your budget with insulated vinyl siding. The premium brands come in a wide variety of colors and textures that can suit any design preference. The styles of this type of siding aren’t limited to the same boring colors and textures that you may be accustomed to seeing. In fact, this is a great option for someone who wants to get creative with the exterior appearance of their house. According to research, this insulated vinyl siding holds up extremely well under very rainy circumstances. The insulation isn’t prevented from drying simply because it’s trapped underneath the vinyl. In fact, it often dries out almost as fast as the non-insulated counterpart. It’s believed that the insulation can dry better because of the excess heat trapped between the home and the siding. No matter what the reason, this could be very beneficial for your health. Mold and mildew can run rampant in a wet environment. The drying capacity of insulated vinyl siding allows you to keep the inherent benefits of insulation without worrying about mold or mildew growth that can effect your health. Does your wall have a few irregularities that make it stand out? Whether it’s a little wavy or just has some odd gaps in your current siding, insulated vinyl can help to smooth out the appearance of an irregular wall. The insulation can mold a little better to the exterior of your home, creating a seamless appearance. It also helps that that there are fewer seams required when you install this type of siding. The reason that you can save on installation costs is that most of the insulated vinyl siding panels are significantly larger than alternative options. These larger panels also mean that you’ll have fewer seams along the exterior of your property. This makes your entire property appear more seamless and helps to reduce the risk of future damage to these more vulnerable areas. It’ll make your home appear to be a little sleeker and cleaner than siding that comes in short pieces and must be woven together artfully to avoid too many seams. Insulated vinyl siding is rapidly growing in popularity and for good reason. Homeowners can clearly see the solid benefits of using this product to improve the overall quality of their home and reduce some of their long-term expenditures. Take advantage of the perks that come along with this home upgrade. Make the investment into insulated vinyl siding today to start seeing the long-term benefits of better energy efficiency within your home. Feldco offers homeowners in Peoria insulated vinyl siding at an affordable price. Not only will you receive a high quality product, but it’ll be installed by factory trained and certifeid professionals. Get a free quote and get started on your siding project today.